THIS WEEK China launched its first ever anti-dumping investigation against Australia, targeting barley exports. Australia’s barley industry is upset because it doesn’t believe it has been dumping. But that isn’t the point. China’s main concern isn’t barley, and it isn’t the dumping of Australian products. It’s Australia’s use of anti-dumping against China. Dumping is essentially price discrimination, in which a producer sells a product to an export market at a lower price than it sells it at home. As such, it is often condemned as “unfair trade practice” which accords exporters a competitive advantage over producers of similar goods in the market of importation. While the question of whether dumping is “unfair” or a legitimate commercial practice remains highly controversial, anti-dumping actions are permitted under the rules of the World Trade Organisation and are used frequently by many nations, including Australia. In an anti-dumping action, the designated authority investigates whether there is dumping, whether the relevant domestic industry has suffered a “material injury”, and if so, whether the injury was caused by the dumped imports. A “yes” answer to all three leads to the imposition of anti-dumping measures, which are typically customs duties on the goods involved. Australia’s use of anti-dumping action has been on the rise over the past decade. Most of the actions, and most of the eventual anti-dumping measures, have been aimed at China. While China’s steel industry has been the main target, many other Chinese industries have also been targeted; including aluminium products, clear float glass, stainless steel sinks, road wheels, solar panels or modules, A4 copy paper, and railway wheels. Of the 30 measures currently in force, 18 apply to China. However, what’s been annoying China more has been Australia’s treatment of it as a non-market economy in anti-dumping investigations. The designation flies in the face of a commitment Australia made as long ago as 2005 to treat China as a market economy as a precondition for the negotiation of the China-Australia Free Trade Agreement. It means that the costs and prices actually charged in China aren’t used to determine whether or not it has been dumping. Instead, prices and costs in a third country are used to work out what is meant to be normal. As I warned in a previous article, if the practice continues it could drag Australia into a trade dispute that would harm the interests of Australian industries. While not being a traditional user of anti-dumping measures, China has been a fast learner. Including the barley investigation, China has taken 276 anti-dumping actions since the introduction of its anti-dumping law in 1997 – somewhat less than the 326 cases initiated by Australia. Until now, in contrast with Australia’s frequent anti-dumping actions against China, China has never initiated action against Australia. This might be because it needs Australia’s exports and needs them cheaply. But China is becoming a sophisticated player in the global trading system and is gaining experience using anti-dumping measures for the purpose of retaliation. So far, the main targets have been the United States and the European Union. Often, it has imposed anti-dumping duties that exceed 100 per cent. It isn’t in Australia’s interest to join the club. Barley is not a random choice. To push Australia to abandon its attachment to anti-dumping measures, China has strategically targeted one of Australia’s major exports. China is Australia’s biggest customer for exported barley. It pays A$1.2 billion for 4.2 million tonnes, around 68pc of Australia’s barley exports to its top ten markets. Barley producers and exporters are spread across many Australian states, and they had been relying on the recently signed China-Australia Free Trade Agreement, which eliminated Chinese tariffs. As of July 31, 2015, 70 barley exporters were registered with China’s import inspection and quarantine authority. But China has many other suppliers from which to choose. It can restrict imports of high-quality Australian barley while continuing to import high-quality barley from elsewhere. China’s investigation might take a year. However, it is able to impose preliminary duties after 60 days. After any final determination to impose anti-dumping duties, these measures are likely to remain in place for five years, with the possibility of an extension for a further five years. 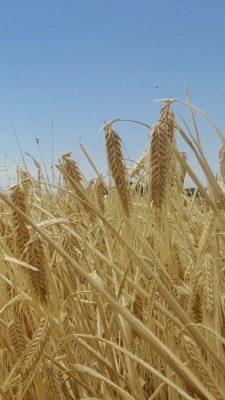 Only ten Australian barley producers and exporters are identified in the application lodged by the China Chamber of International Commerce, but it would be wise for the others to cooperate with the investigation. Uncooperative exporters will face significantly higher duties. Australia can challenge the barley investigation in the WTO, but the rules suggest it can only do so after China’s ministry of commerce has made a final decision. And the challenge might take years, during which time the anti-dumping duties would stay in place and China had become used to sourcing barley from elsewhere. Another possibility is that China might terminate the investigation or any duties imposed for other reasons. Earlier this year, China decided not to include Australia in an anti-dumping investigation into grain sorghum imports after bilateral consultations. But if Australia continues to launch repeated anti-dumping investigations against China and continues to classify China as a non-market economy, in breach of its earlier commitments, the action against barley growers is unlikely to go away in a hurry.